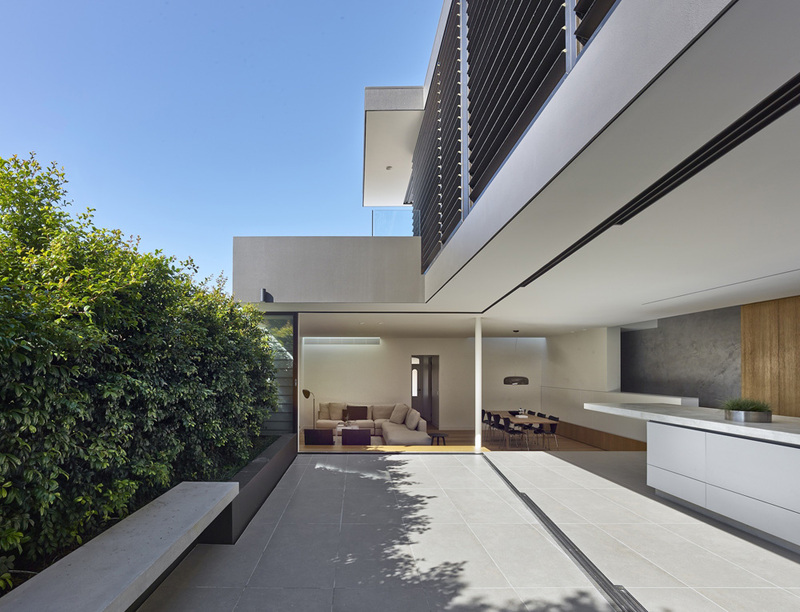 The house is located in the inner Sydney suburb of Birchgrove in close proximity to the harbour. 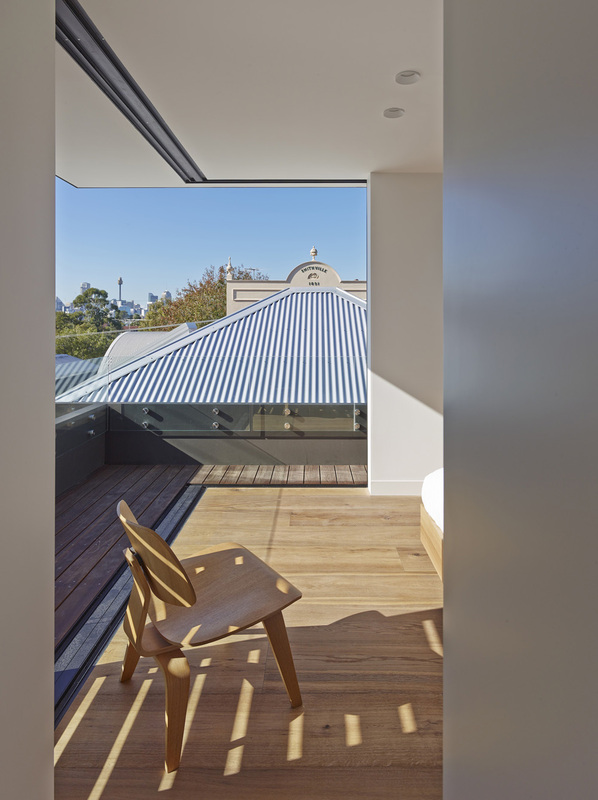 The original section of the house is a simple timber weatherboard cottage. 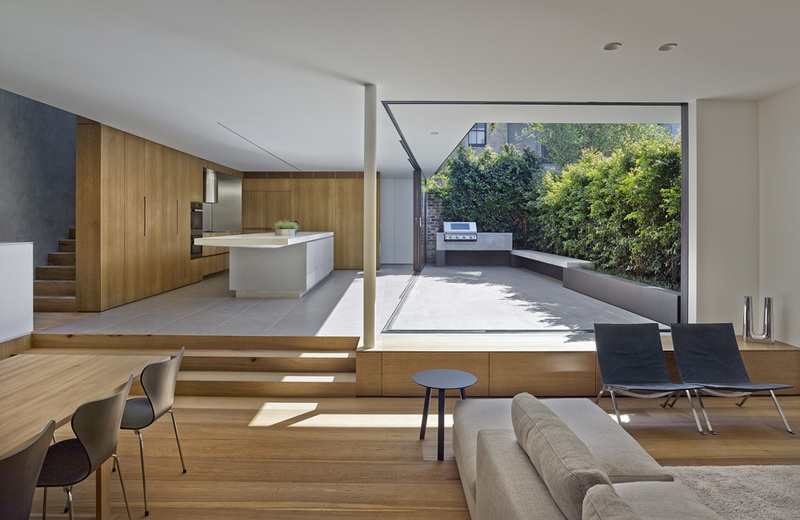 The rationale was to improve the house by simplification and maximise the outdoor experience on a tight site with neighbours in very close proximity. 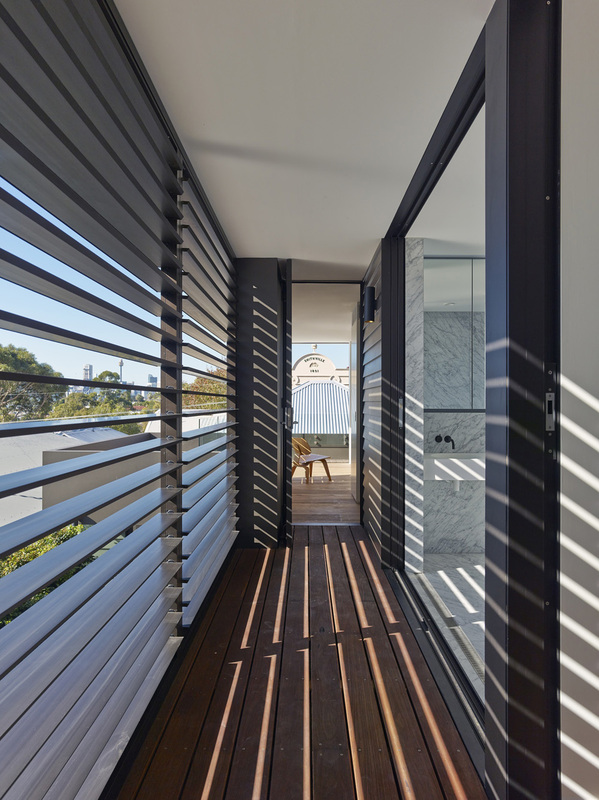 One solution was to replace all upper level external walls to the courtyard with a fully operable facade, when closed this emulates the weather boards of the original cottage. 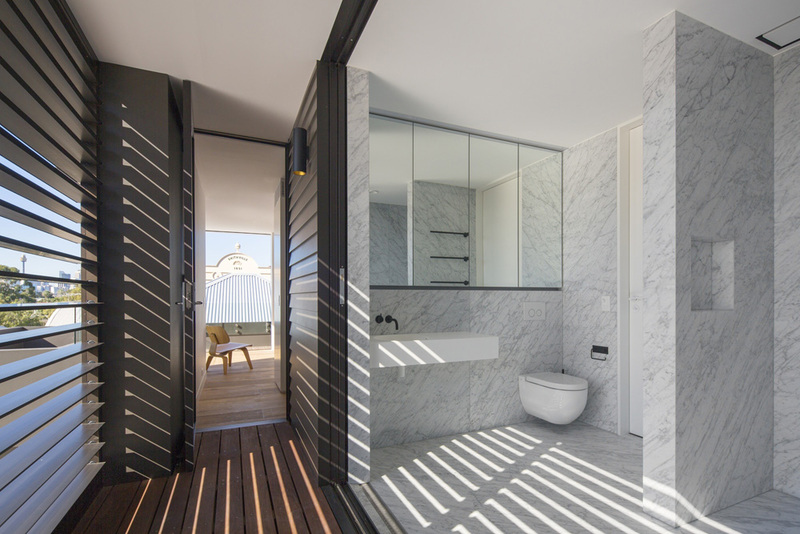 The main bathroom spills out onto the upper balcony, the doors completely retreating within the wall cavity, creating a private outdoor bathroom experience. The stairs were replaced with a new elongated stair spine along the southern boundary connecting the three levels. Joinery wraps under and over the stair filling the cavities with much needed storage space. 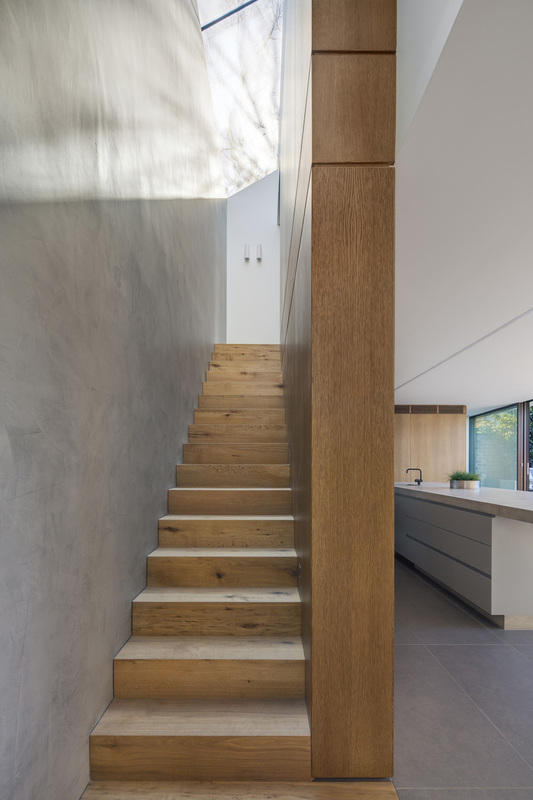 The stairs are bounded by a smooth concrete stucco wall which disperses shadows and light from the glazed roof overhead. 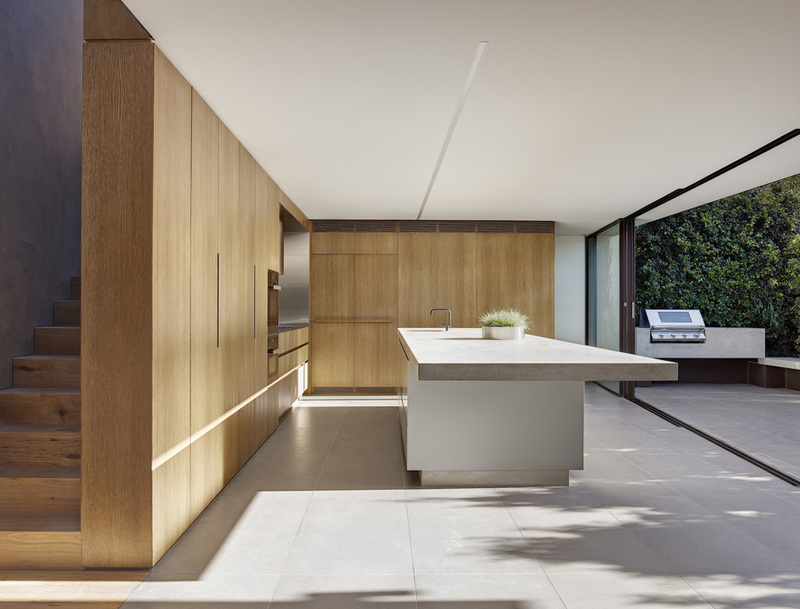 The approach to materials has been to develop a palette that is reflective of the site and origins. Concrete references the solidity of the sandstone footings and boundary retaining walls. A 5.1 metre long concrete bench terminates in an end cantilever. This is repeated in the courtyard as a bench seatand bbq plinth. 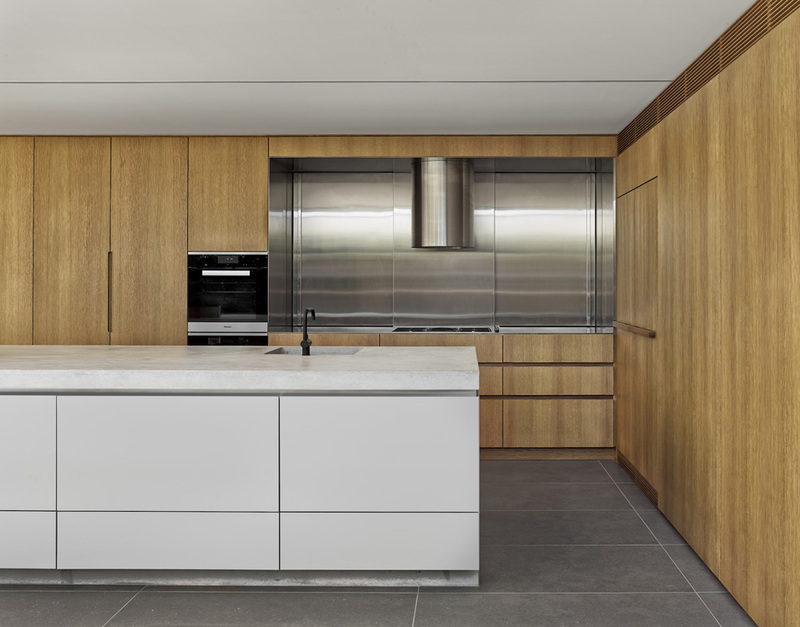 The contrasting use of timber reinforces the primary structural and cladding material of the cottage, reinforcing the essence of the cottages’ materiality. The original front two bedroom remain in tact, while the reminder of the house has been reorganized to address the courtyard and increase the perception of space. On the upper level windows have been expanded to appreciate the the outlook across the harbour to the iconc Sydney Harbour Bridge. Thewalls on the ground floor were removed and replaced with a sliding glazed panel system.